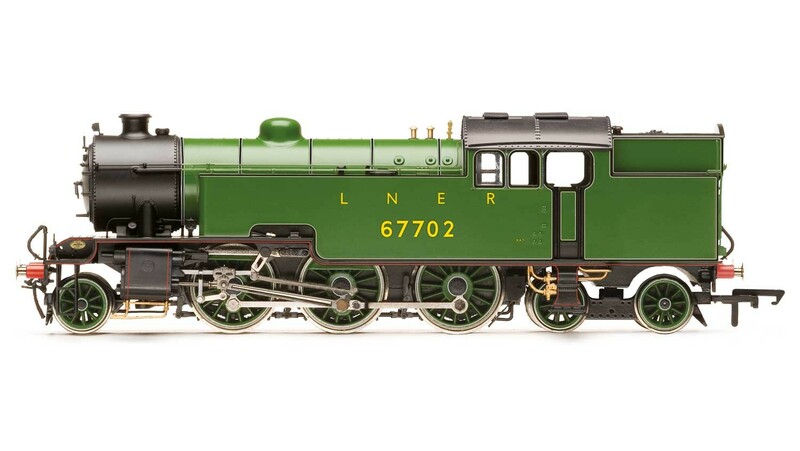 Hornby LNER 2-6-4T '67702' Thompson L1 Class. Class entered service: 1945 as a Mixed Traffic locomotive. Livery: LNER (London & North Eastern Railway) Apple Green, DCC Ready, Motor: 5 pole skew wound, Exterior and cab detail.